For a limited time, you can get the ebook version for just $1.99! The ebook version is super handy to have on an ebook reader or your smartphone. You can even save it directly to your computer and access it anytime you’re working on your computer. You’ll be able to quickly search for whatever information you need with the ebook. 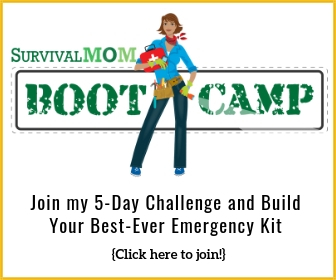 Are you confused with all the “prepping” or “survival” info out there? Wonder who or what to believe? Do you wonder why, how and where to start, or how to assess and beef up your prepping efforts? Do you want the hype-free message with no sale pressure? 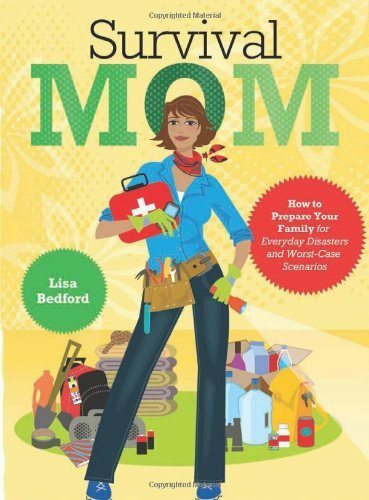 If so, you will love this book, Survival Mom: How to Prepare Your Family for Everyday Disasters and Worst-Case Scenarios by Lisa Bedford. Since I have been an avid reader of Lisa’s website for years, I doubted this book would have much new information-but I was so wrong. 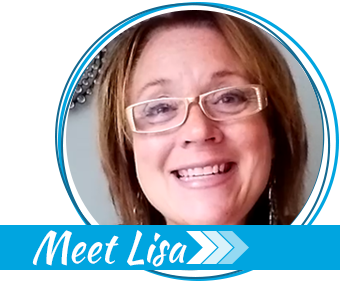 If you’ve been to her website, you’ll notice that she’s covered so many topics that you may think there isn’t much left to talk about (at least that’s what I thought). I was so wrong! 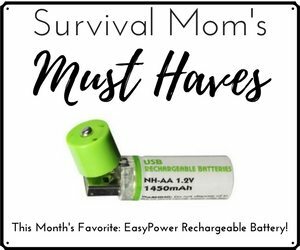 I can’t believe how much practical information she has gathered, all in one place, to help the average mom, dad, or even a single person survive anything and everything, from every day emergencies on up to more extreme emergencies. I can hardly wait for the next one. I have spent quite a bit of time reading and rereading. I want more. This is one of the most amazing books I have ever purchased. It is clear and effective without scaring the mess out of you (like some prepping / survival books). 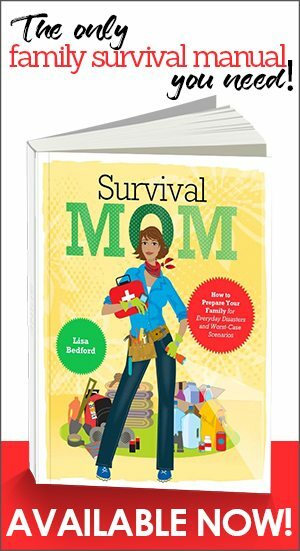 It is written by and from the standpoint of a modern mom prepper, this the title. It has checklists that are easy to follow and customize included in each chapter as well as a plethora of information that would take substantial time to gather yourself online. Writing this book was one of the most enjoyable chapters of my life and knowing it has helped families around the country is a great feeling. You can’t beat $1.99 for this 300+ page book, but the sale price ends soon!. Click here! NOTE: This is an Amazon promotion. I do not control when the sale price begins or ends, so if the price is higher when you click the link, it’s because Amazon has made that change. I already have hard and e copies but will tell everyone I know. What a great deal. Thanks to your publisher. Thanks so much! I was thrilled with this discount. Unfortunately $1.99 works only for US customers. As soon as you change billing location to any other country (Australia) it reverts back to the full price. Worked like a charm! Thank you so much!!! Had to use US address on the Harper Collins website, but I do not mind. I purchased the e-book and got two blank emails from Harper Collins. Not sure what to do but cannot figure out how to download the e-book. 🙁 Sad! I’m going to get in touch with my contact there and see what can be done. There have been several people with the same problem. Hi love the book so far!!! Thank you so much. I’m wondering if there is a way to print off the worksheets tho?? There are a few of the worksheets. At the top of the blog, click Resources and then Free Downloads.